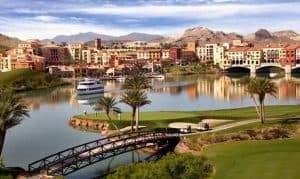 Lake Las Vegas is a beautiful master planned community near Lake Mead. This affluent community in Henderson has amazing gold courses and of course water activities for all ages. Lake Las Vegas is adjacent to Boulder City which also offers spectacular views of Lake Mead.